I completely understand how frustrating it can be when the photos don't accurately represent the true colours in your project. Well I think it's beautiful, from what I see the photo looks amazing! I love the embossing pattern on the back layer, and your shaped layers are so exquisite! The image is the most amazing part, you are a skilled colouring artist! Love the shading around the bubbles, they look so dimensional!! A stunning creation my friend! 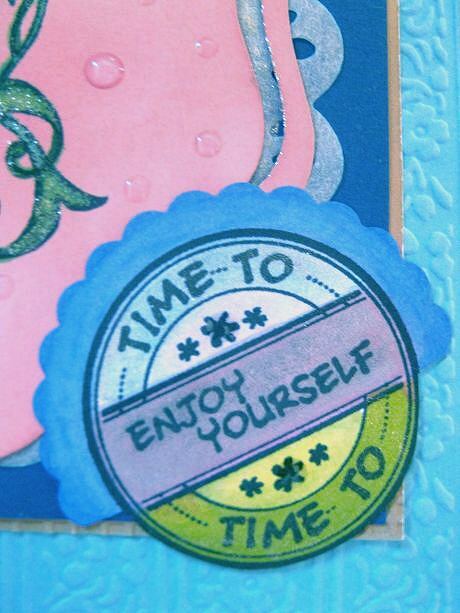 Your card is soooo beautiful and glittery! I love the colours! Kisses, my friend. This is beautiful, pretty flowers and lots of lovely sparkle - it is so annoying when the camera alters the colours, it happens to us all sometimes. I'm so glad you found time to create and what a lovely creation this is! 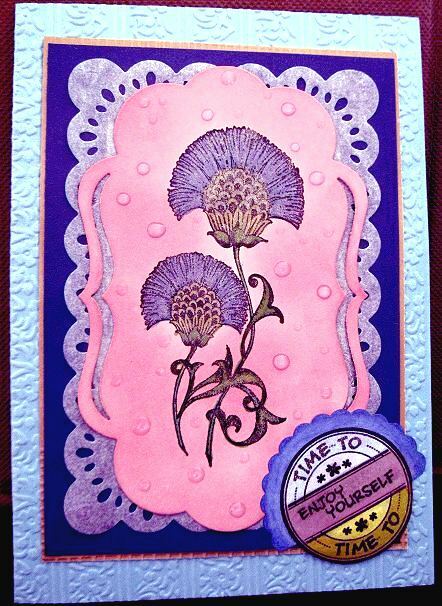 I hate when the camera has a mind of it's own but the card is pretty in spite of it. Love those Nuvo drops and how they add such a special touch to your flowers! Beautiful! Sei stato occupato ed è così bello vederti al Penny Black and More con la tua bellissima creazione usando i francobolli al cioccolato barocco. Grazie mille per aver creato una bellissima cartolina floreale e aver condiviso con noi. 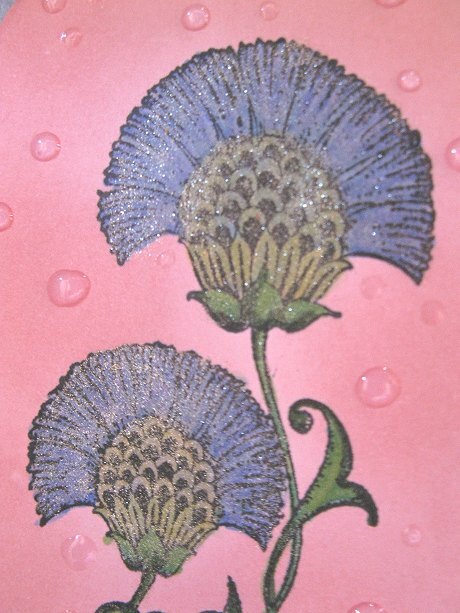 Fabulous creation, love the added sparkle to the flowers. Thanks for joining us over at Lil Patch of Crafty Friends, good luck and please ensure your a follower to be eligible for prizes, thank you. Beautiful Creation Thanxx For Sharing With Us At Lil Patch Of Crafty Friends..
Beautiful,Alice.Love the gorgeous flowers with the glitter. Two of my favourite colours together and your looks gorgeous. I love the sparkle on the glower heads. 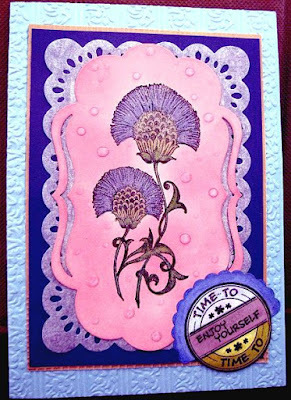 Hugs Mrs A.
Oh such a sparkly and pretty card with all the pinks and purples! So sweet! !